Since their establishment in 1996, 529 college savings plans have become quite popular. After just over 20 years, there is now $282 billion invested in 529 plans.1 The skyrocketing costs of college and greater awareness of their availability have fueled their growth. Plans are created and administered by individual states. Most states have one by now and some have more than one. You do not have to invest in your own state’s plan (though you may want to for the state-specific tax benefits) or attend college in the state where you have a plan either. Investments in a 529 plan fall into two basic categories. Savings plans work like an IRA or 401(k) where you are given several investment options to choose from. You make your choice depending on your time horizon, risk tolerance, and personal goals. The other kind of 529s are prepaid tuition plans. These are usually based on in-state public school rates, but can be converted for out-of-state or private schools. Private colleges are also allowed to offer prepaid tuition through Private College 529 Plans. How Did The New Tax Law Change 529 Plans? Effective January 1, 2018, 529 plans are no longer just for college. Up to $10,000 a year can be used for “public, private, or religious elementary or secondary school” expenses. This provides a great opportunity for wealthier families who prefer to send their children to private school. Previously, the only tax-advantaged way to save for private primary and secondary school costs was through a Coverdell Education Savings Account. However, income limitations and a $2,000 annual contribution limit made them impractical or impossible for many families to utilize for K-12 expenses. There are no income restrictions for 529 plans and the contribution limits, set by each plan, are much higher. This means wealthy families can invest significant amounts at the birth of their children and their money will have five or six years to grow before they need any of it. How Can I Open A 529 Plan? Clearly, it is a good idea to open a 529 plan if your children will or already attend private school. If you are already using a Coverdell ESA to fund their tuition, it can be rolled into a 529 plan without any tax consequences. Rolling it over will allow you to contribute more and reap greater benefits. Even if you are already saving in a 529 plan for college, it might be a good idea to open a new one for K-12 expenses. Having a separate account would make it easier to track your funds and the different time horizons necessitate different investment strategies. With so many 529 plans available, it is a good idea to work with a professional to analyze your options and make a decision. There are a lot of factors that contribute to a wise 529 decision, from investment options and performance to state-specific benefits. An experienced financial advisor can help you take all things into consideration and come up with an investment plan that fits your specific child’s needs. 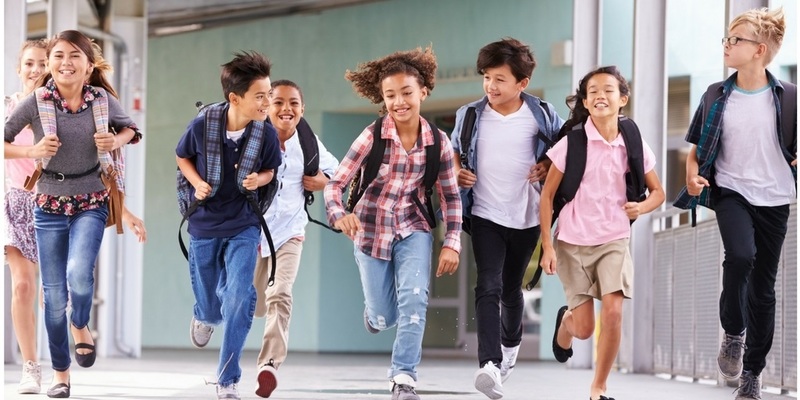 If you would like to know more about how to use a 529 plan for your children’s educational expenses, call me at (626) 529-8347 or email me directly at [email protected]. Haydel, Biel & Associates, an independent financial advisory firm serving individuals and families near Pasadena, California. The firm was founded in 2004 by Chris Haydel and Ricky Biel with a desire to provide unbiased, client-centered, community-based financial advice. Together, they have built a practice that has grown into a family of caring, smart professionals committed to blending proven investment methodologies with creative financial technologies that make it easier than ever to accomplish your goals. They strive to keep things simple and fun to give their clients peace of mind and alleviate financial stress. HBA Wealth takes care of their clients’ needs first and foremost and goes the extra mile to make their clients’ finances grow. To meet and see how the HBA Wealth team may be able to help, contact them today at (626) 529-8347 or email Ricky directly at [email protected].